Say goodbye to paperwork and hello to efficiency. Payroll, benefits, employee handbooks, and more. 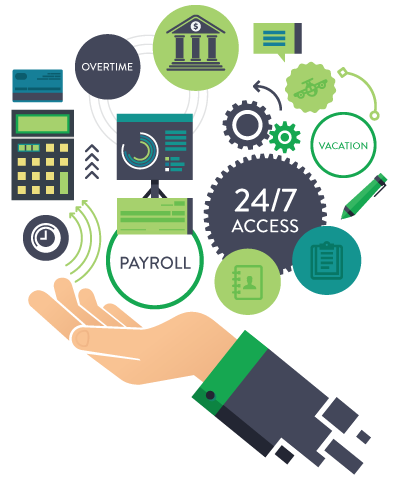 Having access to Simploy’s state-of-the-art HRIS system empowers your employees to track payroll, vacation days, overtime and 24/7 access to important company documents such as employee contracts, handbooks, vacation forms and any other materials they may require. Empowering employees by giving them the ability to update data is beneficial in many ways. For example, changes are made in real-time, it eliminates paperwork and administrative errors are reduced. Watch the short video below to see how the Simploy Employee Portal can help your employees to access their HR information and to be more productive.